So I’ve been a little slack with keeping the blog up to date recently. I’ve been super busy (which is awesome) but it has meant I’ve had a little less time for recipes! 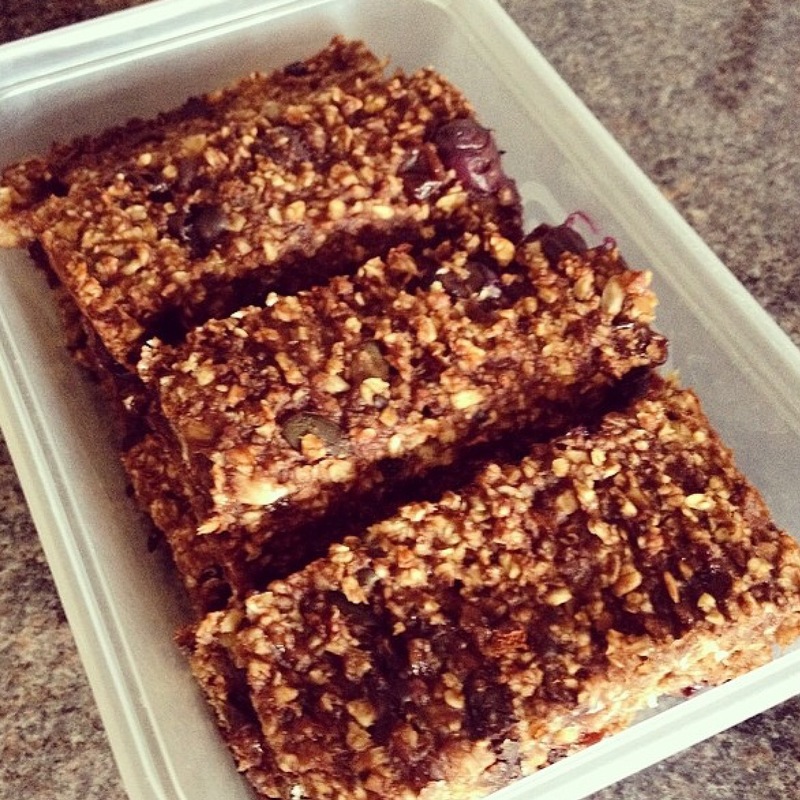 This week I have been asked by a number of people for flapjack ideas, so here is a scrummy one to keep those sweet teeth at bay! I promise weekly workouts will be coming each week soon too! Preheat your oven to 180 degrees, line a small baking tray with baking parchment (could use a loaf tin). Mash the two banana and then add the oats, mix until combined. Melt the coconut oil and pour into the mixture. Add the rest of the ingredients and give it all a good stir. Make sure the cacao powder is thoroughly mixed in. It should be quite a wet sticky mixture, so don’t be afraid to add more water if need be. Press the mixture into your tin using a fork or a spatular and pop in the oven for 15 minutes. Take out from the oven and leave to cool. Cut into small bars and enjoy!